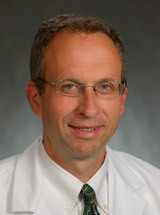 Dr. Raizen is employed by Penn Medicine. Quiescent behavioral states are universal to the animal world with the most famous and mysterious of these being sleep. Despite the fact that we spend one third of our life sleeping, and despite the fact that all animals sleep, the core function of sleep remains a mystery. In addition, the molecular basis underlying sleep/wake regulation is poorly understood. We use the nematode C. elegans as a model system to address these questions. C. elegans offers many experimental advantages including powerful genetic tools as well as a simple neuroanatomy. Growth of C. elegans from an embryo to an adult is punctuated by four molts, during which the animal secretes a new cuticle and sheds its old one. Prior to each molt the worm has a quiescent behavioral state called lethargus. Lethargus has several similarities to sleep including rapid reversibility to strong stimulation, increased sensory arousal threshold, and homeostatic regulation. Remarkably, genetic regulation of lethargus quiescence is similar to genetic regulation of sleep in other animals. In particular, lethargus is regulated by a gene that is very similar to a gene regulating circadian sleep in other animals. In addition to developmentally-timed sleep sleep, C. elegans also sleeps during the adult stage, after exposure to an environment that induces cellular stress. This stress-induced sleep requires just a single neuron, called the ALA neuron, which secretes neuropeptides including those encoded by the gene flp-13. We have identified additional new sleep regulators in C. elegans and are currently studying how and in which cells these regulators function. By studying the purpose and regulation of nematode sleep, we will identify additional novel sleep regulators, and gain insight into why sleep had evolved, a central biological mystery. Please see David about possible projects. Raizen David M, Zimmerman John E, Maycock Matthew H, Ta Uyen D, You Young-jai, Sundaram Meera V, Pack Allan I: Lethargus is a Caenorhabditis elegans sleep-like state. Nature 451 (7178): 569-72,2008. Nelson Mathew D, Trojanowski Nicholas F, George-Raizen Julia B, Smith Colin J, Yu C-C, Fang-Yen Christopher, Raizen David M: The neuropeptide NLP-22 regulates a sleep-like state in Caenorhabditis elegans. Nature communications 4 : 2846,2013. Nelson Matthew D, Lee Kun He, Churgin Matthew A, Hill Andrew J, Van Buskirk Cheryl, Fang-Yen Christopher, Raizen David M: FMRFamide-like FLP-13 neuropeptides promote quiescence following heat stress in Caenorhabditis elegans. Current biology 24 (20): 2406-10,2014. Trojanowski Nicholas F, Nelson Matthew D, Flavell Steven W, Fang-Yen Christopher, Raizen David M: Distinct Mechanisms Underlie Quiescence during Two Caenorhabditis elegans Sleep-Like States. The Journal of neuroscience 35 (43): 14571-84,2015. Yuan Jinzhou, Raizen David M, Bau Haim H: Propensity of undulatory swimmers, such as worms, to go against the flow. Proc Natl Acad Sci U S A. 112 (12): 3606-11,2015. George-Raizen Julia B, Shockley Keith R, Trojanowski Nicholas F, Lamb Annesia L, and Raizen David M: Dynamically-expressed prion-like proteins form a cuticle in the pharynx of Caenorhabditis elegans. Biology Open 3 (11): 1139-1149,2014.